However what is been neglected are the safety precautions that should be exercised while switching to mobile mode or tech mode may be, here are the list of things to take note of when making use of your so dearly loved dangerous but useful device (seriously they are both). A lot of us are guilty of this crime. I personally at one time used to put my cell phone under the pillow because of my mum. At some point in time my mum used to take my phone over night. So I was really determined that such an infringement of my personal human right as declared in my own “tech customized brain” constitution that none shall deny me the right to my loving cell phone, as a result, the above action had to be effected. 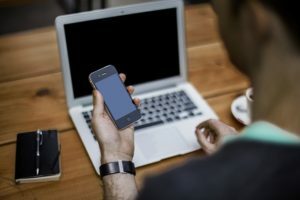 However I have realized that the habit isn’t really good for you, as research has showed that sleeping close to your phone can affect your sleep or lead to lack of sleep at all or in an insufficient amount, this is due to the EMR (electro-magnetic radiation ) that is been emitted by your cell phone. This same emission can also affect specific self regulation processes like biological clock which is also related to sleep disorder and in some cases result in night mare, I don’t know exactly how but they say it does and don’t ask me how I’m not a scientist I’m a programmer. But what I can tell you is to try not to sleep with your phone 3 feet closer to you while sleeping, I now put mine in a cupboard in my bed‘s furniture, and if possible switch off your mobile data before you sleep seriously I know it’s hard, really, but it’s worth it if you want a sound sleep and avoid night mares too. Yea, before I forget the world health organization also warns that the electromagnetic radiation produced by mobile phones are classified by the International Agency for research on Cancer as possible carcinogenic to humans i.e it can increase your chances of cancer. I’m sure most men aren’t going to like this one at all but it is a harsh reality. Normally the cause of erectile dysfunction has been known for many years ago before I was even born to be diabetes, mellitus, hypertension, cholesterolemia (high cholesterol) and a bad wife which is my special inclusion, please do not marry bad wife really, I mean it. Okay enough of the jokes. Not very recently an unsurprisingly worthy inclusion has been made, which is again a big thanks to ELECTRO-MAGNETIC RADIATION as it is responsible for the decline of sperm count mobility, changes in the DNA and sperm morphology. It gets worse when it’s in your pocket while in talk mode as it can also decrease spermatozoa and impair male fertility.The radiation from your cell phone may be cooking your sperm cell.What is the best and safe way to carry your smart phone? Use my special orthodox formula, HOLDING IT IN YOUR HAND. I know it might sound somehow uncomfortable but if it means having beautiful children like me then it’s definitely worth it. Or you can wait for my mega invention coming by 2020 that is if your sperm cells are still alive then. But for the main time my special strategy should prevent the havoc from happening or develop your own safe strategy. And if you are richer than me at the moment get a Bluetooth ear piece as using your device hands free reduces contact with the body. Aha, this brings me to my invention an ear piece that lets you keep your phone at home while receiving calls at an entirely different planet, so watch out, come 2020. I actually suffered from this for a long time till I realized what I was doing wrong. What was I suffering from again? It was INSOMNIA.The unfortunate lack of sleep which is the case with me and my fellow night howlers. There were even events when I don’t sleep at all till the sunrise. I suffered a great deal of memory loss during this moment until I realized it was as a result of blue light emitted from my smart phone.Blue light has the ability to suppress melatonin hormone. This hormone is responsible for sleep timing and blue light is very good at suppressing it, so much so that it does that two times better than double espresso coffee. Yep, blue light also shifts your sleep time table by an additional three hours. No this doesn’t mean you can stop working at night shifts, there is actually something you can do about it. First you should try installing flux on your computer system, and there are a lot of application on google play store that can help with this problem, don’t ask me which one just install any one you like, may be because you like the icon or something. But the one I use is Eyecare the reason is because they have anti eyestrain exercise recommended by eye doctors. And I don’t have an ios device so that’s your problem. One more thing you can do is expose your self to lots of bright light during the day as it will boost sleep at night. Also, avoid using your bright screen 2-3 hours before bed time or use blue light filtering glasses, whichever one works for you that’s fine. The cause of this one has nothing to the with the device but a lot to do with human negligence. The University of Arizona has discovered a discovery that is known to be a discovery which is shocking to the world that your phone can have TEN TIMES MORE BACTERIA THAN YOUR TOILET SEAT. Of course you would clean your toilet every now and then but who would think harm of your sleek looking touch screen, and then it only gets worse when you slam it on your cheeks receiving a phone call, so as result you should not kiss any one that you see receiving a call a until you are sure he or she has a clean phone. This one has a simple cause with a simple solution just remember to swipe with a disinfectant every SINGLE SECOND. Do you know of any safety precautions to be exercised when using your smart phone. Tell us in the comment below and let other people benefit from your genius smart Idea.